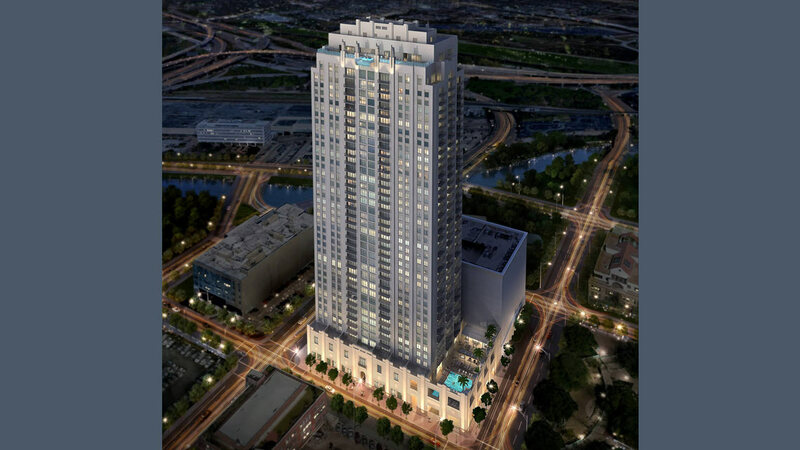 Suncoast Post-Tension supplied unbonded post-tensioning products including the Suncoast SRS® (Stud Reinforcement System) as well as engineered installation drawings for this new luxury high-rise apartment building in Houston, TX. 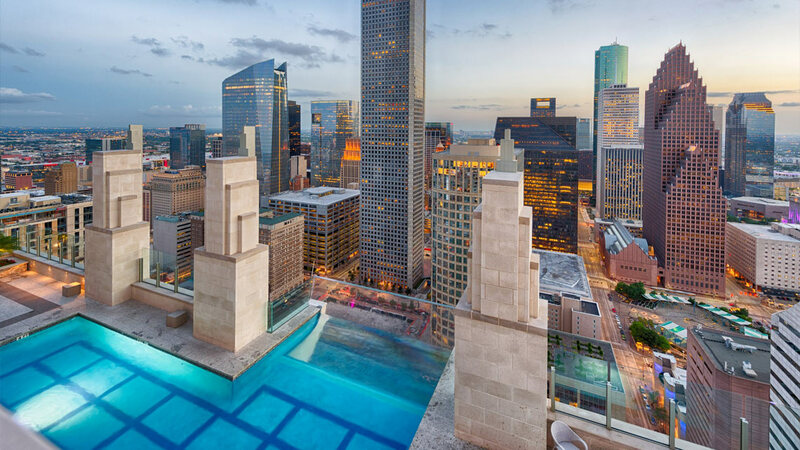 View the video below to learn more about the building that enables tenants and guests to seemingly “walk on air” as tiny cars zip along the busy street 500 feet below in Houston, Texas! 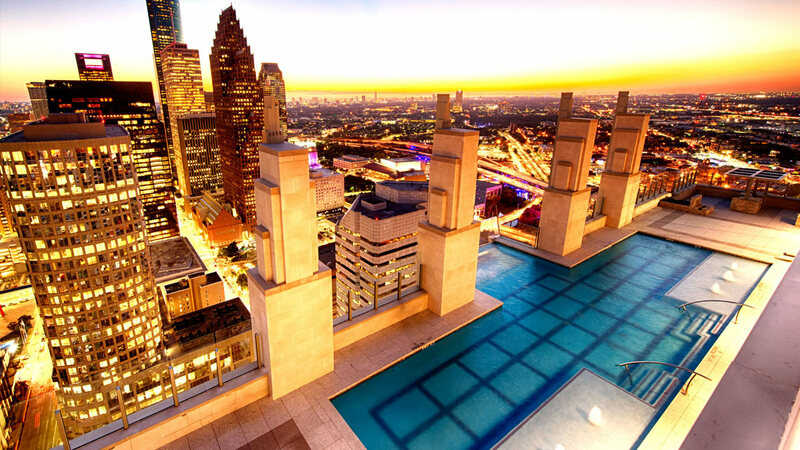 The infinity pool of Market Square Tower, also known as the Sky Pool, is on the 42nd floor and extends 10 feet over the side of the building. 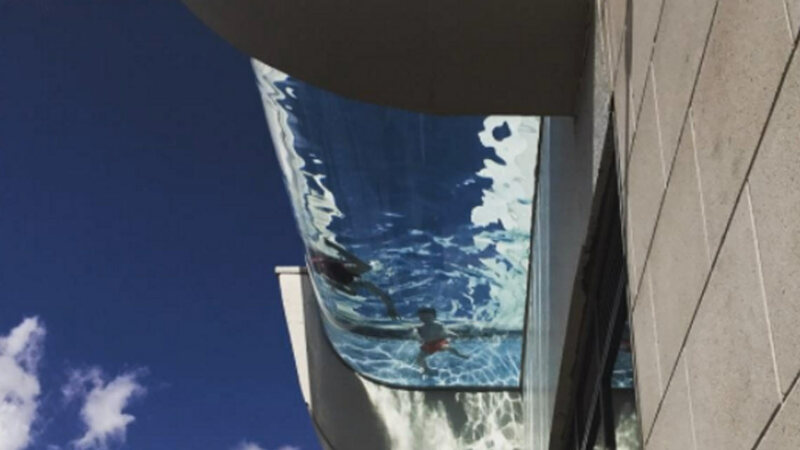 Heart-pounding footage shows a brave resident walking around with ease on the 8-inch thick plexiglass while captivated online viewers watch in terror or amazement. Bilco and Suncoast introduced the use of unbonded PT to the country of Costa Rica in 2013 and have successfully partnered on fifteen projects together. 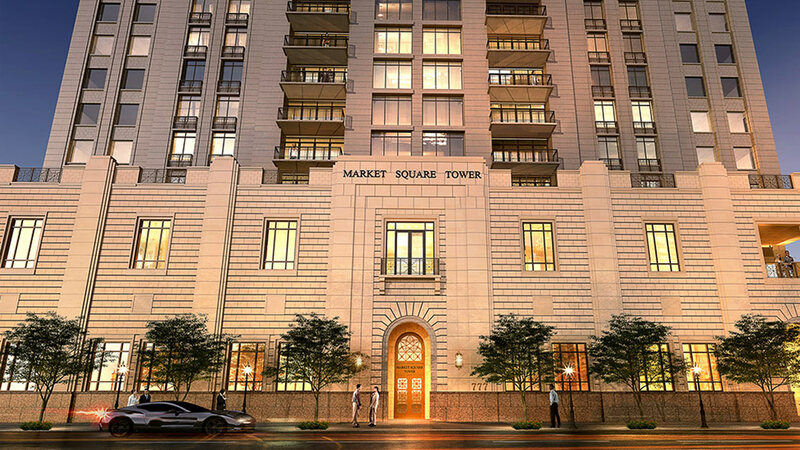 The Escazu Village project is an upscale, mixed-use project in the heart of San Jose and a great example of our work together. 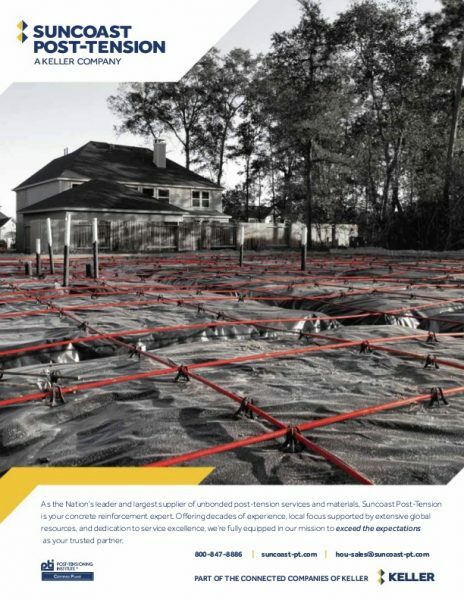 Suncoast provided all post-tensioning material, specialized installation drawings, and stressing equipment. 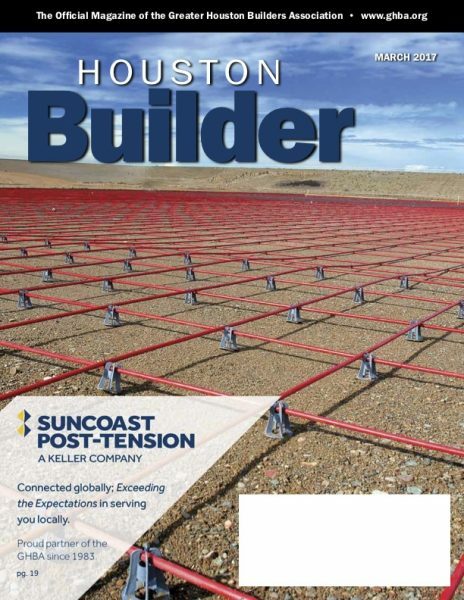 The Greater Houston Builders Association featured Suncoast Post-Tension on the cover and page 19 of its March 2017 edition of Houston Builder Magazine as a 2017 Pinnacle Partner and 2017 NAHB Education Partner, proudly supporting the GHBA since 1983. Connected globally; Exceeding the Expectations in serving you locally. View the magazine online.